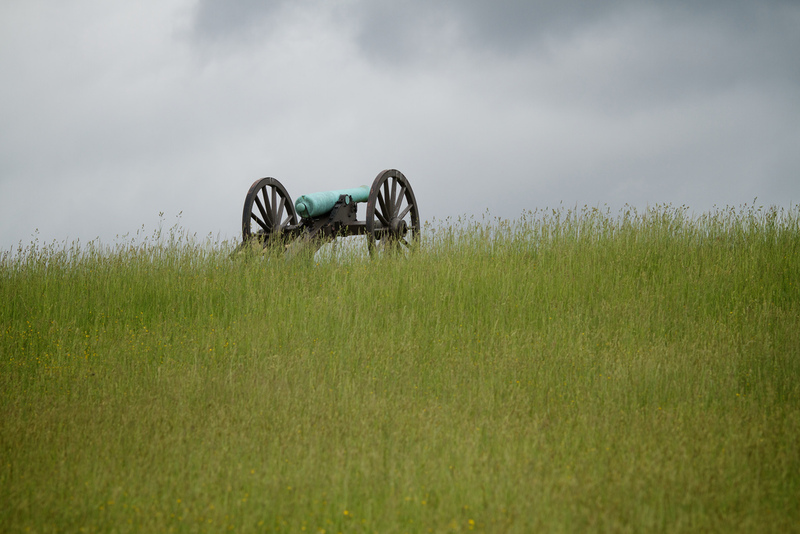 MANASSAS, Va.— The National Park Service has discovered the remains of two Civil War soldiers and a battlefield surgeon’s pit at Manassas National Battlefield Park. This is the first time in history that a surgeon’s pit at a Civil War battlefield has been excavated and studied. It is also the first time that killed-in-action Civil War soldiers have been found in an amputated limb burial pit. The two soldiers will be interred at Arlington National Cemetery later this year in coffins constructed from a downed tree from the battlefield, and will be the first burials in the Millennium Expansion of the cemetery. After the initial discovery in 2014, National Park Service experts worked with Douglas Owsley, Ph.D., and Kari Bruwelheide, world renowned forensic anthropologists at the Smithsonian’s National Museum of Natural History, to excavate the site and recover the bodies and limbs. Together, the National Park Service and the Smithsonian Institution recovered two complete sets of remains, 11 partial limbs and several artifacts from the site. Using archeological evidence, historical archives and forensic science, researchers have learned an incredible amount from this discovery. The shallow, hastily dug pit and the recovery of 11 amputated limbs confirm that this was the site of a field hospital. Further evidence tells us that the field hospital was used during and in the days following the Second Battle of Manassas, also known as the Second Battle of Bull Run. The complete sets of remains are from two Caucasian males, 25-34 years old, who died of injuries received at the Second Battle of Manassas. One of the soldiers was found with an Enfield bullet still lodged in his upper thigh bone (femur). The other soldier was found with three fired lead buckshot. It is likely that a field surgeon determined that both soldiers had injuries too severe to be operated on successfully. Several clues tell us that these soldiers were from the Union Army. First, Enfield bullets were used almost exclusively by the Confederate Army at the Battle of Second Manassas. Second, buttons from a Union jacket were found with the man who died from buckshot wounds. In addition, Owsley’s team determined that the soldiers were from Northeastern states based on isotope analyses that showed the men consumed food and water from this region while their bones were forming. “Later this summer, we will have the great honor to inter these unknown Soldiers with their fellow Soldiers at Arlington. They will lay to rest in our new Millennium Expansion as we commemorate their ultimate sacrifice 156 years ago at the Second Battle of Manassas,” said Karen Durham-Aguilera, executive director, Army National Military Cemeteries and Arlington National Cemetery. The National Park Service and Arlington National Cemetery rendered honors as the remains of these two unknown Civil War Soldiers were transferred to the Army in a Dignified Transfer of Remains at Manassas National Battlefield Park on Tuesday, June 19. The National Park Service Honor Guard provided a color guard as the dignified transfer was conducted by the 3rd U.S. Infantry Regiment, “The Old Guard.” Dignified transfers are conducted for every U.S. military member who dies in a theater of operation while in the service of their country. Press release received from the National Park Service. About the National Park Service. More than 20,000 National Park Service employees care for America’s 417 national parks and work with communities across the nation to help preserve local history and create close-to-home recreational opportunities. Visit us at http://www.nps.gov, on Facebook http://www.facebook.com/nationalparkservice, Twitter http://www.twitter.com/natlparkservice, and YouTube http://www.youtube.com/nationalparkservice.